Can you downgrade watchOS 5 Beta to watchOS 4? It’s a question everyone is going to start asking vigorously today and we’ll answer it. Whenever new beta software becomes available, everyone gets eager to try out what Apple has been cooking since the last one year. At times, it really doesn’t hurt to try out beta software as you have the convenience of reverting back to the publicly available version of the software by following a few steps. The only downside is that the downgrade process erases everything off your device forcing you to restore from a backup if you did take one in the first place. On the Apple Watch, the story is very, very different. See, unlike other Apple devices, the Apple Watch cannot interface with iTunes and relies solely on Bluetooth and WiFi for installing new updates. The magnetic cable that ships with the device only serves the purpose of charging the wearable, nothing more. 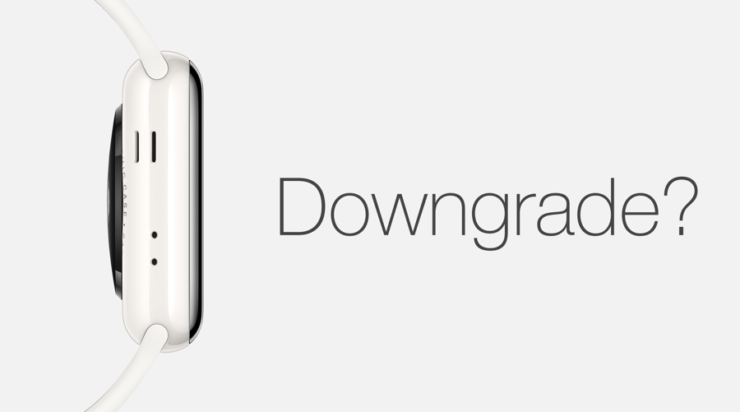 So, in case you were wondering if you can downgrade watchOS 5 Beta to watchOS 4 then you will be disappointed to learn that you can not. Once you install watchOS 5 Beta, you have to go through every single pre-release build until the final version becomes available later this year. So during that time if you decide to sell your Apple Watch or even lend it to someone, you’ll be stuck on beta software and so will the other person. However, if you throw up a request with Apple, they might actually downgrade the software for you. But that isn’t guaranteed either, given where you live. This will involve sending your wearable to Apple and you might even end up paying an ‘out-of-warranty’ fee for the service you will be provided. Once everything is sorted out, your Apple Watch will be sent back to you running the public version of the watchOS firmware. If you are asking me for a quick run-down of what’s written above: there’s no way you can downgrade watchOS 5 Beta to watchOS 4 until or unless you are ready to pay a handsome fee for it to Apple. Be very, very careful while installing beta updates on your Apple Watch. It’s best to have a spare wearable at hand that is meant for testing out beta software only.